Jim Boulton. Courtesy of Stan Hill. 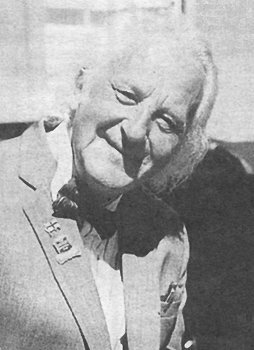 Jim Boulton the well known author and transport historian passed away on the 7th September, 2005. He will be sadly missed by the many people who knew him and those whose lives he touched. Jim was a legend in his own time, a kind man, one of nature’s gentlemen, always ready to help and advise on any aspect of locally made vehicles. His knowledge on the subject was extensive and his enthusiasm knew no bounds. Jim was a great favourite at local vehicle rallies and always in demand for his interesting and often witty talks. He will also be missed by his large number of friends in his home village of Wombourne, where he was a familiar sight walking his dog Koko. Lea Chatto, Vic Cox, David Evans, Stan Hill, Simon Hinks, Ray Jones, Christine Kinch, Joy Price, Mervyn Srodzinsky, Geoff Walker, and Ned Williams.